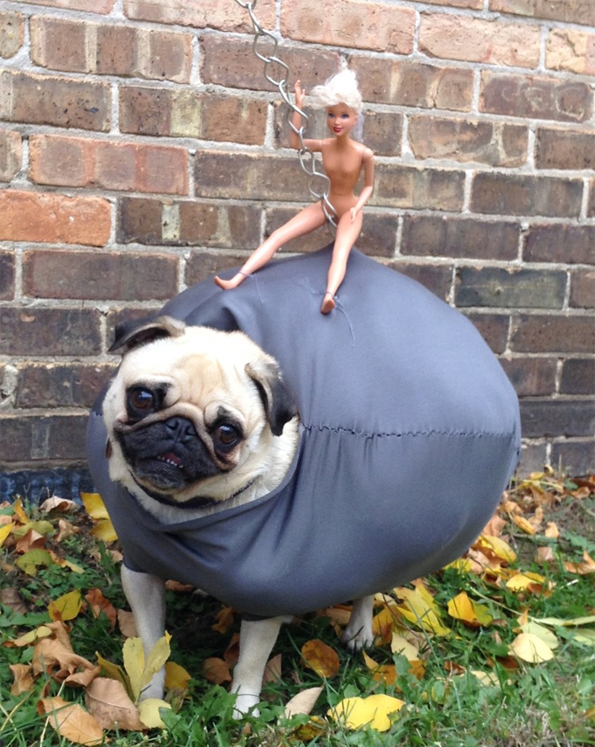 From Doge to 'Wrecking Ball,' MTV News breaks down the best of the Internet. Much memes. Such funny. Wow! A lot of very cultural, very important things happened in 2013. And then there was some hilarious Web-spun dealies that we emailed to our mothers, daughters/sons and future lovers in an attempt to brighten their moods and cut down on the mounting darkness consuming all of our collective hearts. Find out which 10 memes we'd like to share this year on the wall that is our souls. It wouldn't be a meme list sans an adorably idiotic animal. 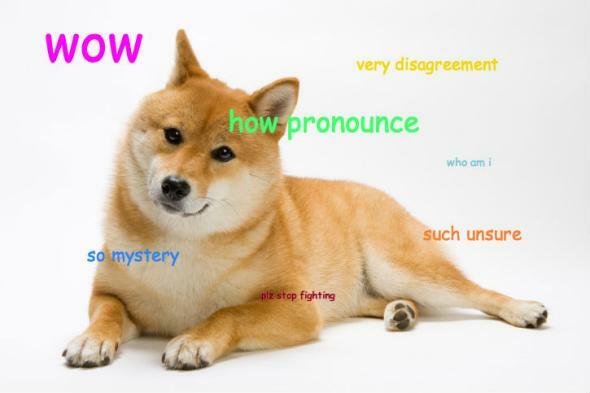 This year's furry friend to know was undoubtedly "doge," a meme that combines photos of derpy-looking Shiba Inus and their Comic Sans-penned internal monologues — internal monologues replete with typos and half-finished ruminations. Much cool. Funy fun! Nothing like wrong-headed cultural appropriation to kick off a meme right! The "Harlem Shake," contrary to what is implied by its name, has nothing to do with the original dance. Instead, it was a video craze scored by Baauer's bass track "Harlem Shake," in which a masked individual starts dancing alone in a crowded room before everyone in the assemblage starts shaking their... well, the first three letters in "assemblage." This year saw the craze spread like a particularly virulent STD throughout YouTube, as well as IRL, with the likes of the staff of "Late Night With Jimmy Fallon" to "Glee" getting in on the action. Ah, nothing like a hot cup of coffee — followed by the searing hot pain of rejection. 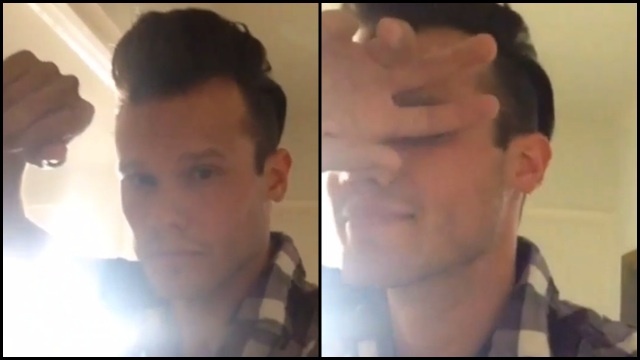 Starbucks barista Brody Ryan became an Internet star after asking for a customer's number and sending her a video of himself gazing into the camera, caressing his chin as Drizzy's "Hold On, We're Going Home" played in the background. Ryan claims the two actually met on Tinder, despite the woman's claims, but where memes are concerned, truth is basically an afterthought. All that matters, really, is that the video was parodied all over — even by the likes of Panic! At the Disco's Brandon Urie and Larry King. We got our eyes on this meme. Kanye and "RapFix Live" host Sway Calloway may be friends — Kanye gave Sway his first TV! — but that doesn't mean they always get along. During an interview on Sway's Shade 45 radio show, things got a little heated when Sway asked 'Ye why he doesn't just fund his own fashion endeavors. "How Sway?" Kanye barked. "You ain't got the answers, man! You ain't got the answers. I've been doing this more than you; you ain't got the answers!" And thus, a new meme was born, with those immortal words superimposed over a bevy of images. 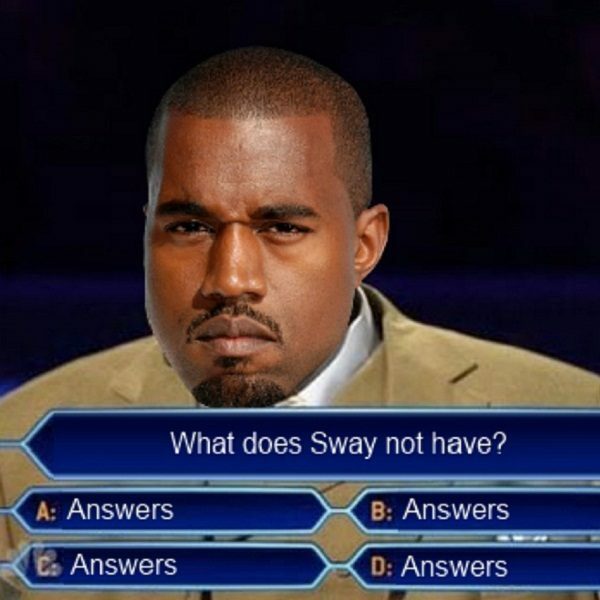 Yeah, Sway might not have the answers, but he does have one of this year's hottest memes. Miley Cyrus came in like a, well, wrecking ball when she dropped her "Wrecking Ball" video this year, featuring the singer naked, straddling the titular character. The stick-in-your-brain image spawned a myriad of photo manipulations — including this disturbing one — and likely many bruises as students at Grand Valley State University in Allendale, Michigan, took scantily dressed rides on a wrecking ball-esque statue on campus. All you do is break me(mes), Miley! Let's ring in the New Year with a relatively new meme featuring a young girl who looks old (head rush). This month, Clayton Prater uploaded an image of his wife Lindsay as a child to reddit, with the caption, "My wife looked like a 60 year old woman as a child." The snap of a young girl with large glasses and an elderly woman's haircut then became the source of a million memes, all merging old and young stereotypes in a single snap. Becomes an Internet meme. Asks, "What's a me me?" Twerking became such a thing this year that Oxford Dictionaries Online added the word "twerk" to its latest edition. Enough said. If "pretty hurts," Bey must have been feeling no pain in a series of snaps taken during the Super Bowl in February. Granted, Beyoncé always looks flawless (she woke up like this), but in these particular photos, she's looking particularly Sasha Fierce — emphasis on the "fierce." Buzzfeed posted the silly snaps following the show, only to get a call from Bey's rep, who asked that they take down any "unflattering" photos — a.k.a. images in which the Queen is scowling, posing awkwardly, etc. 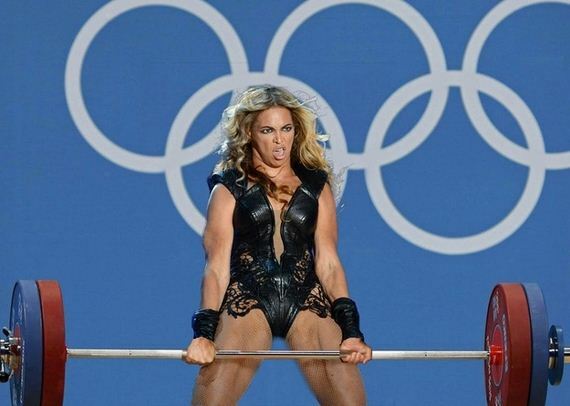 Buzzfeed did not nix the photos, however, leading to an array of photoshopped images in which Bey was transformed into a growling weight lifter, among other things. "Unflattering" or no, we think 'Yonce always looks bootylicious. The rise of Instagram has allowed us to share the most intimate moments of our everyday life — even those moments that are less than true. 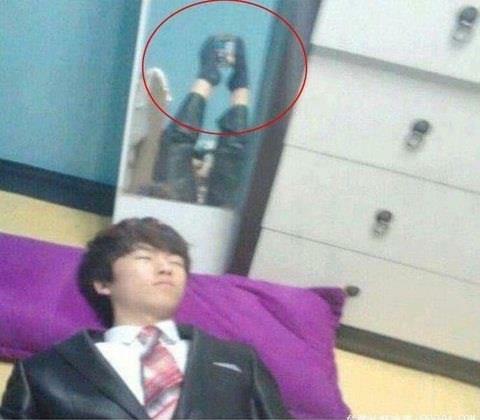 The "bae caught me sleeping" trend is a hilarious meme that gained stream this year, inspiring a series on snaps in which folks take shut-eye selfies and attribute them to a fictional beau. Speaking of fictional beaux, Notre Dame football player Manti Te'o got straight-up Catfished this year when he found out that his recently departed girlfriend — whom he had never met IRL — Lennay Kekua was, in reality, not a real person. A slew of images and spins followed soon after, many of folks "Te'oing" — or posing with their arms around an invisible GF. This meme gives us a little bit of the sads. Which meme was the most shareworthy of 2013?